We provide full service Needville plumbing and are ready to handle any of your plumbing needs in a timely manner. Whether you have a clogged toilet, a leaking kitchen sink, or blown pipe, we are your best choice for Needville Plumbing! Known for our friendly, on-time services, we are considered the best plumbing company providing highly professional & trust worthy plumbers. whom you can count on for dependable and fast service for your home and family! With affordable plumbing services starting, finding an experienced and quality plumber has never been easier. Don’t let tight purse strings keep you from needed inspections and repairs. Our team will work with you to help find plumbing solutions without cost surprises. And if that wasn’t enough, we offer a wide array of seasonal coupons, allowing you to enjoy deep discounts on needed services. Regular maintenance and identifying problems early on can help prevent costly, budget-devastating repairs later. Never worry that a bad pipe will wipe out your finances again. Our team of plumbing professionals are here to help Needville residents feel confident that their plumbing is being taken care of. We are willing to answer all of your questions and concerns. We are on-time and courteous. Our technicians are more than just plumbers- they’re neighbors. With hundreds of five and four star reviews all over Yelp, Facebook, and the Better Business Bureau, our reputation speaks for itself. We do our best to handle all of your routine and emergency plumbing needs in the fastest, friendliest way we can. Howell Services offers a wide variety of services, handily able to take care of most major and minor plumbing issues. From clogged toilets to leaky drains, we do it all. Our technicians are trained in performing minimally invasive, efficient maintenance. Imagine being able to clear up hot water issues without having to change your water heater. That’s what Howell Services is able to do with you. We work with you to identify your most pressing issues and develop easy to implement solutions, ensuring your pipes will run smoothly for years to come. Knowing exactly when to call in expert assistance can often result in savings to the tune of hundreds, if not thousands of dollars. Check out the following plumbing tips for homeowners to deal with basic plumbing issues, and if you are in Sugar Land or Katy, TX, area, feel free to drop us a line for experienced plumbers and advanced plumbing solutions! When you have an issue, you do not want to wait hours for an expert to arrive. They often fix the problem in minutes and leave you with a large bill. So here are ten things you should check, before you call Howell Services. What is the difference between a plumber and plumbing contractor? Yea, we got it! As a homeowner you may have wondered what the difference is between a plumber and a plumbing contractor. Both are floated about with regularity in home construction and home maintenance. Need your plumbing regularly inspected? Want to make sure you catch plumbing problems before they happen? 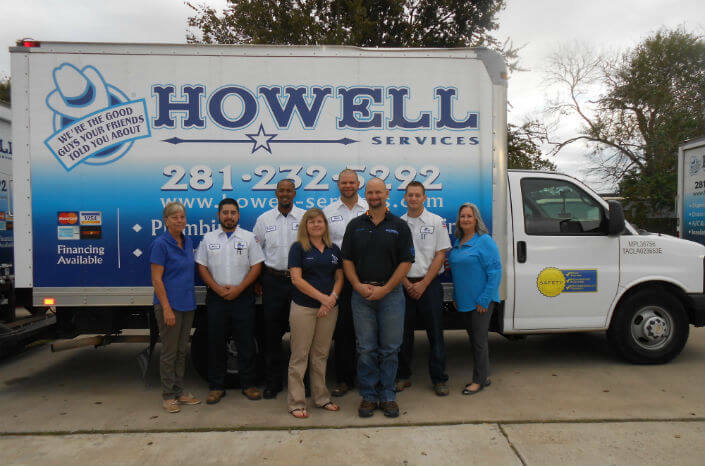 Why Needville Residents Should Call Howell Services?